Life and living is all about taking risks. It’s better to have tried and failed, than to live with the uncertainty of what could have been. 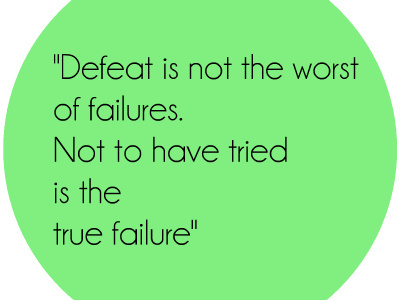 When ever the talk of failure and giving up comes up, I can’t help but remember the likes of Thomas Edison the American Inventor, and the many times he failed before he succeeded. It is all about persistence, learning from your mistakes, taking more calculated risks and success might just be lurking at your next turn.